but not in time for our children or our ESL students. What can we do today to safeguard our learners from the dysfunctional education they are experiencing now? We know the resistance to change is mostly political (and the teachers themselves – we get paid if students succeed or not). We also know other countries are much more successful with education than we are in English speaking countries. How the Finnish School System Outshines U.S.Education. The internet is loaded with hard-to-ignore articles and studies. Is it possible we only have to adopt what is working elsewhere? Sadly, NO. I’m just a humble teacher but from the inside of education looking out, there is no way our politicians, education boards or teacher training programs are capable of leading the kinds of overhaul necessary to provide our children and adult ESL students with an education that is going to prepare them for life. We are pretty much on our own with this. 1) The English language is fundamentally flawed. Letters (26) don’t represent sounds (40). Spelling is random: to two, too, do, due, dew, no, know, air, ere, aire, heir, err, eyre… There is no way to speak English from reading it or read English from speaking it. Other languages make sense – English doesn’t. 2) Education completely ignores that English is broken. Stepping over this critical issue is criminal and a big reason why native English education is an epic fail. We step over the mess because we don’t know what to do about it. And we find it very handy to blame students when things don’t go well. Shame on us. 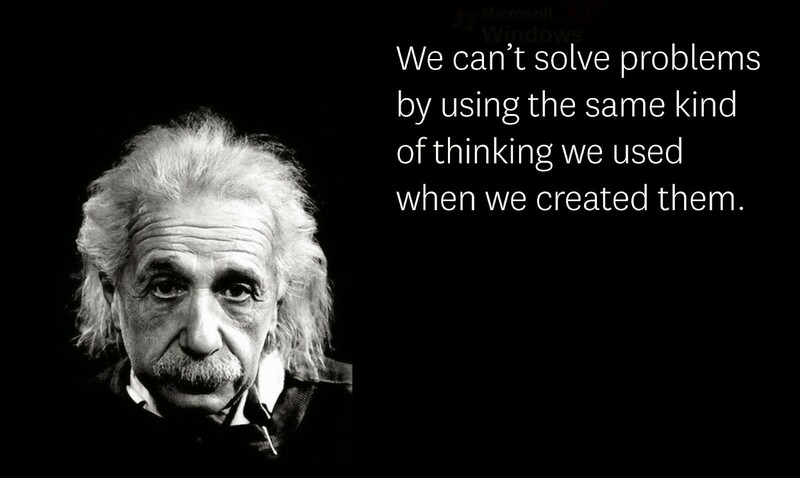 There is something you can do today to help learners. Read to them. Native English speakers – you can fortify your children against the abysmal education they are going to receive in the school system. Chances are excellent children are not going to become strong readers in school (40% functionally illiteracy rates in all native English speaking countries). It is up to you. Read to your children. In fact, students who excel at reading by the end of third grade and demonstrate regular school attendance are 90 percent more likely to graduate from high school. I like to take this one step further and hazard they are more likely to succeed at life. Non-Native English Speakers are never going to speak confidently unless you can reconcile the craziness of the ABCs. Read to them. Their amazing human brains will sort it out if you give them a chance to follow the words with their eyes as they are being read to. Read Dr. Seuss to English learners. Children, adults, native speakers, non-native speakers… this is where they go off the tracks and this is where you fix everything. It’s not too hard for you and it doesn’t take long. Reading and Speaking fluency live here. We have to rethink the fundamental principles on which we are educating our children. 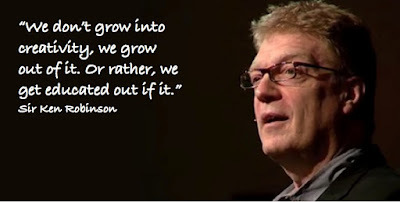 – Sir Ken Robinson. My field is English as a Second language where traditional results are equally appalling. We can broaden his statement to:We have to rethink the fundamental principles on which we are educating – period. Awesome. 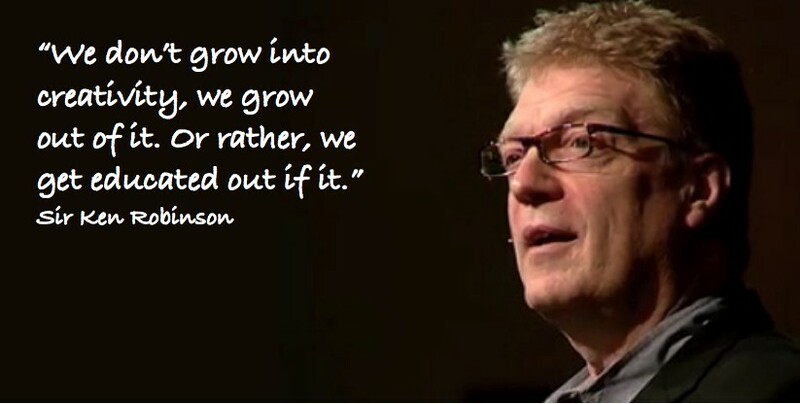 God bless Sir Ken Robinson for shining a light on the shortfalls of education. But how do we change the system? We entrust our children to the school system believing they are getting the best education available and that isn’t happening. We are getting free babysitting. Newcomers enroll in ESL school expecting to learn how to speak English and it never happens. We are taking their money and wasting their time. Certified teachers can’t produce anything better than the myopic dogma they are indoctrinated in. As soon as teachers can admit they only know how to teach as they had been taught and accept they have no idea how to make a difference, there is hope for them. The first step is admitting you are the problem! To be fair, teacher training is the problem. Who is going to fix that? No one. You can download the free PDF too lol. I have talked about Benny Lewis before. He’s a famous language hacker who taught himself to speak a dozen languages as an adult and did some TED Talks about the process. Here’s an interesting 15 minutes on how there are no real excuses. Speak any language quickly. His book and website are Fluent in 3 Months . Grammar study and vocabulary memorizing are not part of successful language learning processes. Most of us know this already but if we want to keep our teaching jobs we have to do a lot of silly things using silly books that accomplish nothing. I know. I had to quit my plum teaching job at the Board of Education because I was too heartsick about being ineffective. Most of you won’t have to make that choice. Traditional language schools are closing down in droves and the choice is being made for you. For the next few blogs I’m just going to keep featuring English teaching programs that take less than three months. Actually, 30 hours is the magic number that keeps popping up for effective programs. Jason West. One of my favorite language teaching geniuses is Jason West. Google him. I met Jason in a LinkedIn discussion (before I got kicked out of the group) and everything he said made so much sense he was like a light shining through the darkness. He contends students don’t speak English because they are afraid of making mistakes and looking foolish. His first program, English Out There prepared learners for successful first conversations with native speakers then he set them loose in Trafalgar Square in London where they began speaking English successfully to complete strangers. Their worries about grammar and accent vanished as they realized grammar and accent don’t affect intelligibility in English. They can make mistakes and be understood perfectly. The glass wall that stopped them before is shattered and their learning English speaking by speaking Englishand confidence skyrockets. Most teaching geniuses I have met are not one-trick ponies. They come up with a series of exceptional teaching/learning ideas. Jason’s new program is Free Range English. Any teacher anywhere English is spoken can get all the content, a place on the site (booking engine) and unlimited support online for about US$22 per month subscription (no premises required). They can run it how they want. He is trying to get Pay What You Want going. The more people do it the easier it will become. I highly recommend all of Jason’s programs if you are looking to make a living while making a difference. Grammar study and vocabulary memorizing are not part of successful language learning processes. Most of us know this already but if we want to keep our teaching jobs we have to do a lot of silly things using silly books that accomplish nothing. I know. I had to quit my plum teaching job at the Board of Education because I was too heartsick about being ineffective. Most of you won’t have to make that choice. Traditional language schools are closing down in droves and the choice is being made for you. Jason West. One of my favorite language teaching geniuses is Jason West. Google him. I met Jason in a LinkedIn discussion (before I got kicked out of the group) and everything he said made so much sense he was like a light shining through the darkness. He contends students don’t speak English because they are afraid of making mistakes and looking foolish. His first program, English Out There prepared learners for successful first conversations with native speakers then he set them loose in Trafalgar Square in London where they began speaking English successfully to complete strangers. Their worries about grammar and accent vanished as they realized grammar and accent don’t affect intelligibility in English. They can make mistakes and be understood perfectly. The glass wall that stopped them before is shattered and their learning English speaking by speaking English and confidence skyrockets. If you have been studying English for longer than three weeks and aren’t happy with your progress speaking English, try something new. The road map to speaking English is here in six steps. ESL Teachers found the Past Tense Flashcards so useful they asked us to create two new sets for tricky ‘s’. The first set is 26 picture cards you print from your computer (8½” x 11″ cardstock recommended) that showcase the three sounds S makes in the third person singular verb form. Combine the two S Flashcard set for serious ESL/EFL learners. ESL Teachers found the Past Tense Flashcards so useful they asked us to create two new sets for teaching tricky ‘s’. The second set is 26 picture cards you print from your computer (8½” x 11″ cardstock recommended) for the three sounds S makes in the plural noun form. “Your program must be for children because the images are cartoons” is something we often have to address at teacher training workshops and conferences. The Speaking Made Simple program is for everyone who wants to teach or learn English speaking. That said, here’s a set of 30 full color Past Tense Flashcards with a more professional look if you prefer for your adult classes. Simpler and more affordable a whole new generation of people could provide services – Clayton Christensen – for example teaching English – Judy Thompson. What is the Breakthrough Technology for language learning? Twenty minutes ago you didn’t know it existed. Now you want to know where to find it. Your motivation for learning has been sparked. Excellent. Education in general is ineffective because of its preoccupation with details and its oblivion about patterns and how humans actually learn. The fundamental breakdown is the misconception that memorizing more and more details makes a good education. Let’s look at grammar for example. We teach about 208 grammar rules and exceptions and wonder why learners don’t speak English? Students can’t stay present to grammar details when they talk. Conversation is too fleeting. Yet two-year-olds learn to talk effortlessly. Rita Baker understands the systems or patterns of grammar better than any human on Earth and teaches all of English grammar, including preposition, with no exceptions in about 15 hours. Her Global Approach is a system students can use immediately to master English effectively and eternally. Rita Baker is an ESL teacher who drives a Jaguar if that gets the point across more clearly. You learned your first language without any grammar study or terms at all. Organically, with a solid grasp of the language patterns is still the best way to learn a second or third or fourth language. Ask Benny Lewis. The Secret to Learning Another Language Quickly: Speak from day 1 You might get hooked on Benny Lewis too. I am. What Benny Lewis and Rita Baker understand is how the brain is wired to learn new information and they apply this to language learning. Simple, affordable technology that is disruptive and replacing traditional language learning methodologies faster than gasoline evaporates. Oxford and Cambridge are ripe for disruptive innovation and scared. The bad news is everything you learned in school about how to teach English is useless. It has been proven over and over again that people don’t learn English with the tools you have. As quickly as you can grasp this and let go of what you thought was important, the faster you are going to find employment in the future of language learning and teaching. There is no job security in ‘the way we have always done it’ anymore. I just finished teaching my first English lesson in Japan using your materials and it went fabulously! So well in fact that the one-off lesson has turned into a package of four lessons. I also have a student tomorrow and hopefully that will turn into a repeat as well. Both are high school students taking private lessons. I feel so confident teaching using your materials, they are so fun and easy to use! If you are still reading this you might be beginning to accept the Disruptive Innovation model in ESL/EFL means there are simpler and more affordable ways to learn and teach. A whole new generation of people could provide services like teaching English. Will you be one of them? Disruptive innovation is changing the field of teaching English forever. You can embrace it and prepare for it or you can ignore it, but you can’t stop it. Before I sign off I want to acknowledge you, your open mindedness and your willingness to look at a future that will be much different than anything your education prepared you for.